In math, the Rule of Three is a method of finding a ratio. In English essay writing, the Rule of Three states that things are more interesting to read in triads. In presentations, the Rule of Three comes in handy to keep the audience engaged, and in entertainment, the idea of trebling makes jokes and gags funnier. As it turns out, economists, chemists, aviators, and scuba divers use the Rule of Three (even Agatha Christie did when she wrote a series of plays entitled, The Rule of Three). Although it has not been labeled as the Rule of Three, great educators have used it in classrooms since Aristotle (ever heard of syllogisms?). So what is the Rule of Three for learning? Well it is as simple as one, two, three (not kidding). The Rule of Three for learning basically establishes the requirement that students be given the opportunity to learn something at least three times before they are expected to know it and apply it. Students engage in a particular learning topic for the first time. The key is that the student must be engaged; an introductory lecture or a movie clip don't count because the students are learning passively -- just listening or observing. So after the introduction and modeling by the teacher, step one of the Rule of Three could be a vocabulary development exercise, a history inquiry activity about primary and secondary sources, or a mathematical patterns discovery excursion. The important thing is that students have their first roll-up-the-sleeves-and-get-messy experience with the content they are supposed to acquire. Much of what the students learn in this step will still be in the knowledge and comprehension level. In this step, students have their second opportunity to practice what they learned in step one. Since students have some basic knowledge of what the topic is, this is a wonderful time to use collaborative-learning strategies. Students can analyze the word compositions by categorizing them according to similarities. Students can assess the validity of the data acquired from primary sources versus secondary sources using tertiary sources. Students would be able to expand their knowledge, for example, of mathematical patterns by creating unique formulas that create visual patterns when graphed. While three steps are the minimum, sometimes students require more than three opportunities to learn. This step should not be viewed as the final step. In step three, students get to do the really fun stuff through project-based learning, product-based learning -- with a lot of hands-on learning. All of these learning activities require problem-solving (analysis), critical thinking (evaluation), and creative thinking (synthesis). 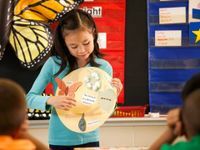 Student learning could include creating a visual lexicon, a PowerPoint lesson for younger students, or an interactive HyperStudio presentation. History students, for example, can demonstrate varying perspectives of the different sources by creating a reader's theater, a quiz show, or a panel discussion. In studying mathematical patterns, students can create a photo tour of mathematical patterns that occur in nature or in architecture at the school or in the community. The Rule of Three for learning helps us as teachers to design our lessons with not only multiple opportunities for the students to acquire the skills and knowledge, but it helps us to deliberately increase the level of complexity and difficulty with each iteration, which, as it turns out, helps the students to remember more because they are experiencing the learning rather than just observing it. 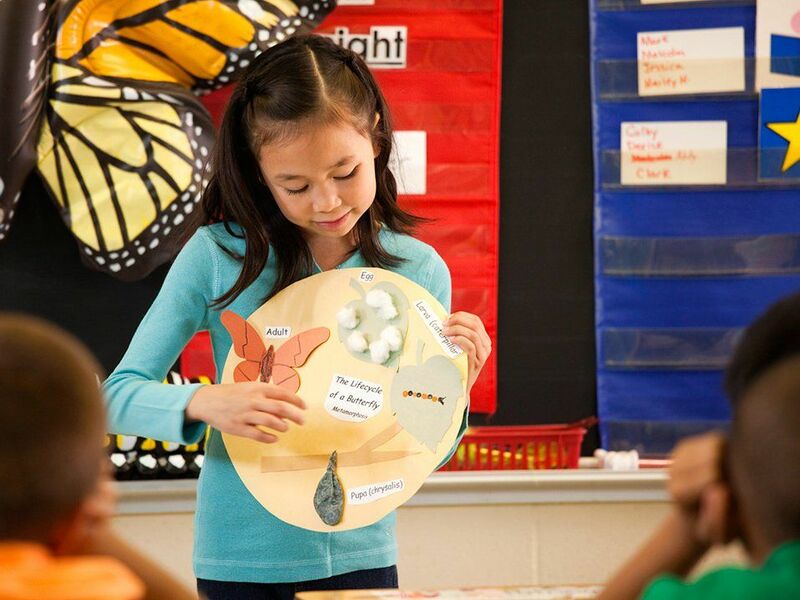 Teachers often expect students to know something after having only presented it once. Also, please do not assume that simply reminding the students three times, providing a pre-test or post-test, or teacher modeling are part of a learning series of the Rule of Three. The Rule of Three has to be the students trying to recall, understand, or apply what they have learned on their own. Posted above my office door in my classroom is a poster that reads, "The Rule of Three." This serves as a reminder to me, but it also helps my students. I constantly refer students to look at this poster to remind them that they should be patient and forgiving of themselves. Learning is difficult, and students need to hear things more than once before they can expect themselves to be able to remember it, use it, and apply it. So, before you give your students any sort of evaluation, ask yourself, "What three learning opportunities have I given my students so they can be successful here?" Math, science, aviation, and computer programming all have one thing in common: the Rule of Three. In those fields, it's an easy way to remember a list of three things that must be done. It is the same with the Rule of Three for learning. It is supremely easy to remember, and it identifies what must be done to learn effectively. The Rule of Three equally applies to how students should study at home, as well as to how teachers should design their learning activities at school. How do you use the Rule of Three in your classroom? Please share in the comments section below.